"Churchman's" cigarette card of Frank Broome of Aston Villa FC. In the 1930s, Berkhamsted Town FC possessed a player who proved to be the most prolific scorer of goals in their 100-year history. His name was Frank Broome, a speedy, tricky winger with a fierce shot. Born in Charles Street, Berkhamsted, in 1915, Frank attended Victoria School. On finishing his education, he worked at Apsley Mills. He first played football for Boxmoor St. John’s and it was there that he was spotted by Berkhamsted boss Arthur Gomm, who offered the teenager the chance to join his home town club. Frank signed for Berkhamsted in November 1933, joining elder brother Reg, who played at inside right. When he joined, the club was second from bottom and had scored 12 goals in eight games. By the end of the season, Berkhamsted’s fortunes had improved dramatically, as they were then fifth with 80 goals from 26 games. 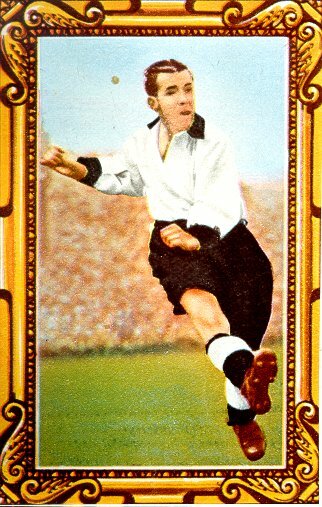 Frank set a club record that season with an astonishing 53 goals. The following season, Frank carried on where he left off and it’s not surprising that representatives from league clubs such as Tottenham and Luton were soon paying the town a visit. 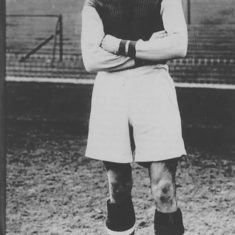 When Aston Villa came to watch him playing against Marlow, Frank had an awful game and did not score, but Villa still decided to sign him on in the Autumn of 1934. No fee was involved but Villa agreed to send a first team to play at Broadwater. This did not materialise, so the club received a £25 donation instead. In the season of 1936-37, he was Villa’s top scorer with 28 goals. 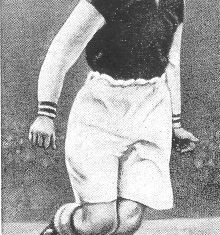 The following season he helped gain Aston Villa’s promotion from the Second Division (the club had been relegated in 1936) and was again top scorer with 19 goals. 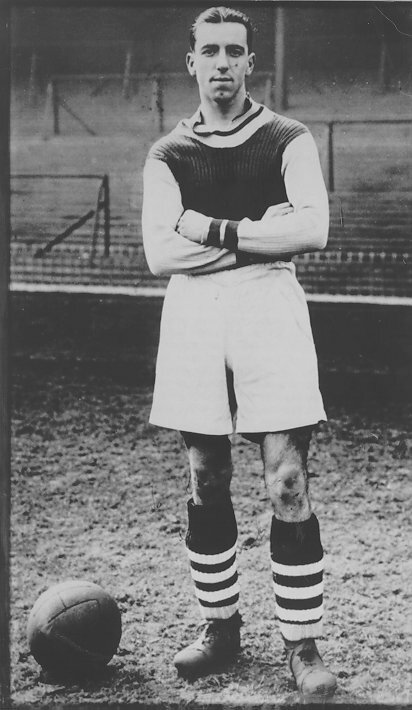 He stayed at Villa Park until 1946, after scoring 90 goals in 151 league and cup appearances. He won seven England caps, the first coming in 1938 during England’s 6-3 beating of Germany in front of a 100,000 crowd, where the ill-advised English players gave the Nazi salute. 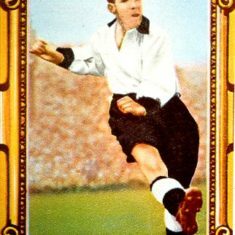 In 1946, Frank was transferred to Derby County for £5,000 and averaged a goal every three games. He joined Notts. County in 1949, where he paired up with Tommy Lawton. Later, he played for Brentford and Derby and, after hanging up his boots, served as manager at Exeter City and Southend United. He also had a spell in Australia until returning to the West Country where he died in September 1994. This page was added on 27/05/2011.